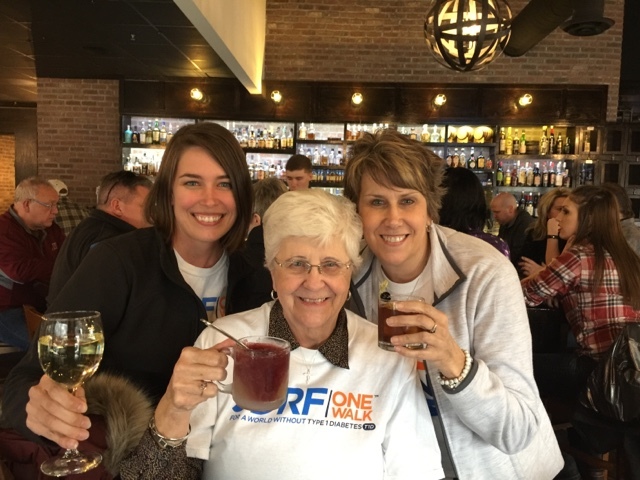 After the ONE Walk, I took my grandmother and mother to Bourbon Butcher for Happy Hour. I was excited to share it with them - first for the ambiance; second to make a "3 generations" memory. I ordered the same delicious New Zealand-born Sauvignon Blanc as last time. My mother ordered an Old Fashioned, and my grandmother chose a frozen Gin and Tonic. The mug's contents had the consistency of a margarita, over which she poured a sweet concoction we assumed was grenadine. She had to pour slowly, pausing to stir and blend the ingredients. She seemed to enjoy the taste of her fancy drink! We also ordered cheese curds. For my readers outside the Midwest (and especially those outside the state of WI - which I can differentiate since I was born and raised there), not all cheese curds are created equal. Luckily, Bourbon Butcher nailed the just-right combination of melty cheese, air-fluff fried crispiness and a sweet dipping sauce that perfectly complemented our cocktails. More than a treat savored at a State Fair, cheese curds have come to found a heritage, thereby symbolizing and entire region of a nation - the Midwest. We stayed for 3 hours before reuniting with my husband and kiddos back home. 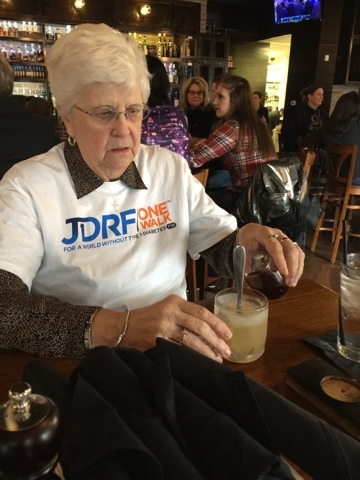 It was a fitting stop to our day - while the JDRF ONE Walk fills us with the hope that a cure is eminent and we feel like we are contributing to its discovery, we wish such a thing wasn't necessary to pray for. 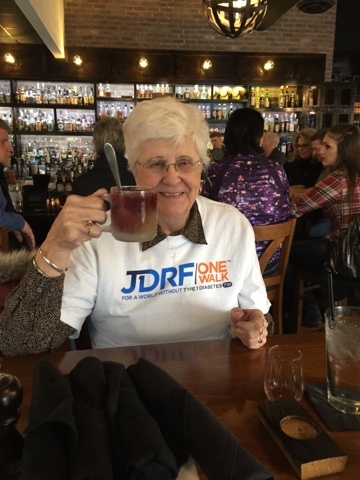 Always choose to look for the good though, and in this case - I have a healthy T1D warrior and a new story to tell about our time together at Happy Hour. First, visit their Web site and peruse the posted sampling of their menu. Specials change constantly, so it's best to browse in-person, but you still get a delicious idea of what the kitchen prepares. Truth? Bourbon Butcher's speciality is their bar menu of unique cocktails and vintage sodas. The food merely helps to clear your palette and fill your stomach. I would however, consider their lunch menu for a fulfilling meal. Then, arrive - and might I recommend a table close to the bar? It is the restaurant's design and conversation-starting focal point. Peruse the page-upon-page of signature cocktails (our waitress referred to the menu as "the library"), selecting the one that best appeals to your taste buds. And pair it with the cheese curds. Though you are in the Twin Cities, you're a mere 45 minutes from the WI border, so it's influence is apparent within its taste. You won't regret the spike in your cholesterol levels.